First Fruits of Zion is not an evangelistic ministry, right? Last month, I had the opportunity to represent First Fruits of Zion as a speaker at the Lausanne Consultation on Jewish Evangelism (LCJE). 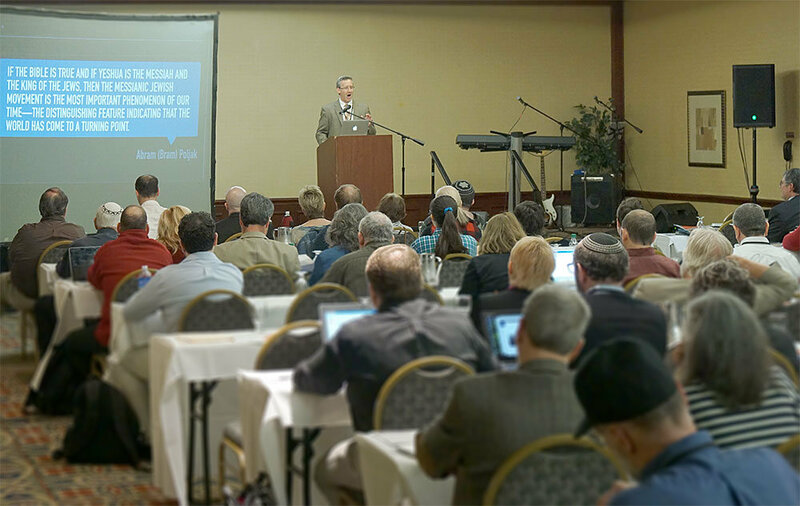 The LCJE is an annual conference for leaders in Jewish evangelism and missions. You may be wondering why FFOZ would attend such a gathering. After all, FFOZ is not an evangelistic ministry, right? Well, you’re right…sort of. Let me explain. By definition, First Fruits of Zion is not an evangelistic ministry. 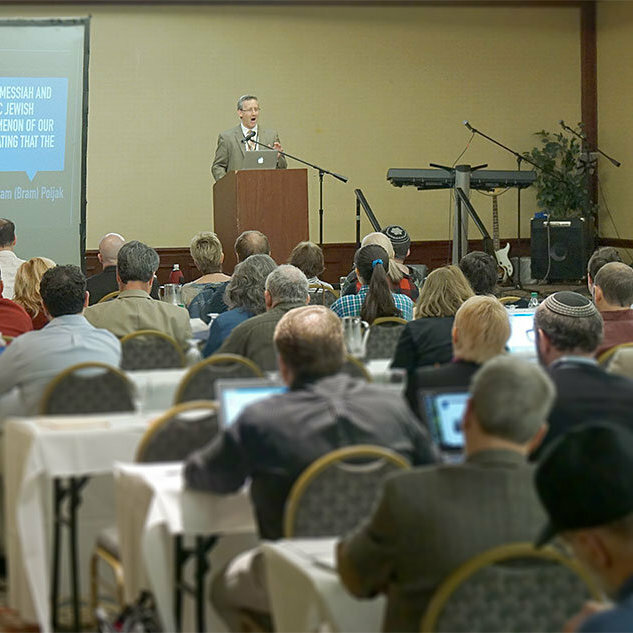 Our mission is to provide Messianic Jewish teaching for Christians and Jews. Our objective is to rejuvenate believers, encouraging them to be zealous for Messiah and the Word of God. Practically speaking, FFOZ doesn’t knock on doors looking to share the gospel with our Jewish neighbors. We don't stand on street corners with gospel tracks. Nor do we put evangelistic ads in major newspapers. However, we are supportive of evangelism to Israel and the nations. That doesn't mean that we agree with every evangelism method or methodology out there. But it does mean that we highly value the importance of sharing the good news of Yeshua with Jewish people in ways that are biblical and relevant. So, while we are not fundamentally an evangelistic ministry, the work of First Fruits of Zion is designed to have a foundational impact upon how both the church and Messianic Judaism thinks about everything relating to the Jewish people and Judaism, including evangelism. Our core principles as a ministry involve restoring the Jewish Messiah, restoring the Torah, restoring the gospel, and restoring Israel. It is our conviction that as these fundamental areas are restored to their biblical context, efforts to reach the Jewish people with the good news of Yeshua will be strengthened. So, how did it go at the conference? In three words: It was intense! I began with a 20-minute presentation about our new Bram Center in Jerusalem. My presentation included some powerful quotes from Messianic Jewish luminaries and pioneers such as Levertoff and Abram (Bram) Poljak and their dreams for the growth of Messianic Judaism in Israel. I shared that the Bram Center was established to carry out the vision that these men had. That vision included three main areas of focus that the Bram Center will emphasize: Yeshua faith, Torah-centered Messianic Judaism, and the land of Israel. After the presentation, there was a 15-minute Q and A time. Let’s just say this time was “spirited.” I got some push back. Most in the room did not support the idea of Torah observance in any form. And many of them recoiled at the idea of “a traditional expression of Messianic Judaism.” Some very high-level leaders stood up and asked questions. Some of the questions, which would be more aptly described as challenges, were theological in nature and allowed me to share some ideas that respectfully challenged their theology, as they were certainly seeking to challenge mine. For me personally, this presentation, and even the Q and A session, was like coming full circle. Back in 2010, I met FFOZ’s director, Boaz Michael, for the first time at the very same conference. Back then, I too did not support the idea of Torah observance in any form for believers in Yeshua. When I met Boaz, he took the time to answer my questions and objections in what was a respectful and helpful dialog. That conversation stuck with me and was one important step in my journey toward Messianic Judaism and a “restored” view of the Torah. So even though I felt somewhat alone on that podium, I knew that it was important for me to respectfully present our viewpoint and take the time to respond to their questions. Boaz taking the time to do that back in 2010 impacted me. So I knew that my efforts could have an impact as well. After I spoke, a number of people came up to me with good things to say about my presentation and wanted more info about FFOZ. One such person was a well-known Christian teacher who is a distinguished professor at a highly respected evangelical seminary. This man had heard great things about us and wanted to review our Torah Club materials. That connection, and many others at the conference, underlined the importance for FFOZ to continue to respectfully present our message wherever and whenever we have the opportunity to do so!